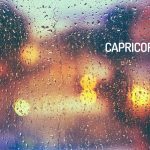 Here is your Capricorn Horoscope for November 2018. Every month, you will find at WeMystic the astrological forecasts for your zodiac sign. Jupiter will enter House XII in Capricorn on November 8, allowing positive lessons to be drawn from contrasting events that would have caused discomfort in the past. In other words, you will be involved in situations that you have already experienced, and your current reaction will cause you surprise, when compared to old attitudes. Evolution becomes evident. On the other hand, the activation of the North Node in House VII of Capricorn (15/11) imposes the recognition of the importance of the other (partner or associate) for the construction of the relationship (you are not an island). This does not imply that you are throwing yourself into a commitment of which you are not sure (Juno retrograde in House V of Capricorn), but that you do understand that the interaction with the partner is a valuable element that can drive you to growth. The exit from Mars and the South Node of House II of Capricorn, on November 14th, will allow the sons and daughters of the sign to have better control over their resources, without attending to the pressures of the ego (Mars) or complexes that have already been overcome (South Node). Also, the Full Moon in Gemini on November 23rd will play House VI of Capricorn, inviting you to make an analysis of the successes achieved in the professional field, and the objectives proposed for the next period. At this point we must make a stop, and take into account that on November 15 the South Node will enter Capricorn, which for the natives of the sign translates into facing old structures (whether you like it or not). If we believe in concepts such as karma and reincarnation, the South Node refers us to those situations of contrast that were not overcome in a previous incarnation, and in this existence must be addressed. If these ideas are foreign to you, you can understand the South Node as those tests you must overcome to consciously work your evolutionary process. For Capricorn, the fact that the South Node enters its sign (where it will remain for more than a year) implies a profound transformation of all his beliefs, structures and concepts of life. Another aspect that you must take into consideration is the entry of asteroid Pallas into House X of Capricorn on 04/11, which will give greater impetus to the achievement of professional objectives in the short term. This transit will be reinforced by the start of the direct phase of Venus in the same sector of the astral map (House X of Capricorn), from 16 November. The apparent retreat of the planet of death, which touches the houses XI and X of Capricorn, gives you the opportunity to study your work options, the projects they want to undertake, where to channel efforts. In this sense, the entry of the dwarf planet Ceres in House XI (11/11) next to Jupiter in House XII of Capricorn (from 08/11), speaks of interest for causes of social impact, and the leadership of collective projects. For Capricorn students, November could be a quiet season, but the entry of Mars into House III of the sign (15/11) and the beginning of Neptune‘s direct phase in the same location (24/11), points to the time to take your academic plans to action, because the time for reflection is behind. In general, the natives of Capricorn will enjoy good health, during November 2018. The Full Moon in Gemini on November 23rd, will touch the House VI of the sign, and alludes to the review of daily routines and lifestyle habits. The lunar event marks the perfect moment to evaluate the results obtained in relation to changes in diet, new sports practices, complex medical treatments, and modification of the work rhythm or sleep patterns. If you have not made important changes in these areas, but are interested in doing so, you are in a very favorable period for this; just remember to consult with the appropriate specialists for each case. Sometimes, we believe that what works for other people or was beneficial to us at a certain time may serve to achieve a present goal, but just as we evolve spiritually, so do the needs of our physical body. Hence the need for expert advice, and a (realistic) plan designed according to your requirements and goals. It is worth noting that Mercury will be retrograde in House XII of Capricorn, from November 16, which is an excellent transit to capture negative habits dragged from the past. Important: Mercury retrograde in House XII of Capricorn can also allude to obsessions (dieting, exercise, work), resistance to letting go of old structures, and misuse of your personal resources. House XII of Capricorn will have a lot of movement, during November 2018. Not only will it house the retrogradation of the planet of communication, but Jupiter will enter this site on the 8th, followed by the Sun on the 22nd November. We cannot forget that asteroid Psyche is also in House XII of Capricorn, a clear warning to the vulnerable aspects of your personality that you continually repress or try to hide from others. Jupiter’s entry into the 12th House of Capricorn points to the well-being you gain by cultivating attention to your balance; in the same way, it encourages the exercise of the spirituality inherent in the individual, through meditation, prayer or contact with nature. The planet of expansion in House XII stimulates generosity, gratitude and compassion, applied to the people around you (even strangers), and especially to yourself (self-pity is a healing practice). For its part, the Sun in House XII warns you not to neglect the symptoms of chronic diseases (for those who suffer), and to recognize the importance of collective values that help to connect with others.